Since the start of the 21st century, many Arab states have endured severe crisis and, in some cases, bloody conflicts that, even when over, continue to produce structural and long-lasting effects on the societies and the countries they affected. Civil war, rebellions and foreign interventions have indeed favored relevant transformations not only in the political systems of states such as Iraq, Syria, or Yemen and Libya, but also in their security and defence sectors, paving the way for the emergence of armed non-state actors which have acquired a leading role in both national and regional dynamics. The path of these “informal, unofficial – often illegal – formations has not developed in a void, rather intersecting the evolution of regular armed forces to create a hybrid security governance characterized by unfamiliar and fluid coalitions of national armies (or their remnants) and paramilitary groups, often displaying coexistence and competition between them and their external backers. 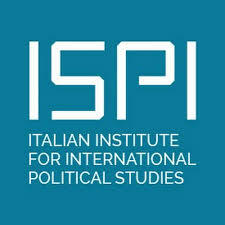 The roundtable aims at exploring the issue of security hybridization in the Middle East, focusing in particular on the role of militias and paramilitary groups not only from a military perspective but also – and especially – in terms of political influence. Leading experts from global think tanks and international organizations will meet in Geneve for a one-day event in which in-depth analysis will be accompanied by policy recommendations specifically targeted at promoting effective Security Sector Reforms and Security Sector Governance in the countries and situations considered.